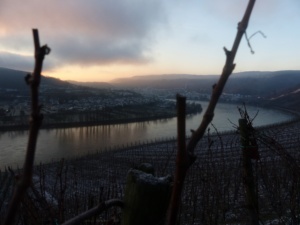 Thanks to the frosty temperatures from January 19 – 22, numerous winemakers in nearly every German winegrowing region successfully harvested Eiswein (ice wine) grapes, reports the German Wine Institute (DWI). Eiswein-quality fruit may only be harvested at temperatures of -7°C and below. The colder it is, the more intense the concentration within the grapes, which is considered a huge benefit in very sweet berries like those of the ’18 vintage. Because the grapes tended to be very large yet extraordinarily healthy, this year saw widespread willingness to leave a portion hanging in the hopes of an Eiswein harvest.